With self publishing, DIY culture and photography ever growing around the world,Doomed Gallery and TPC have come together to present a world wide exhibition of photographic zines. Building an exhibition platform and community for photographers to share their images in the zine format to people and places that may not get the chance to see them. 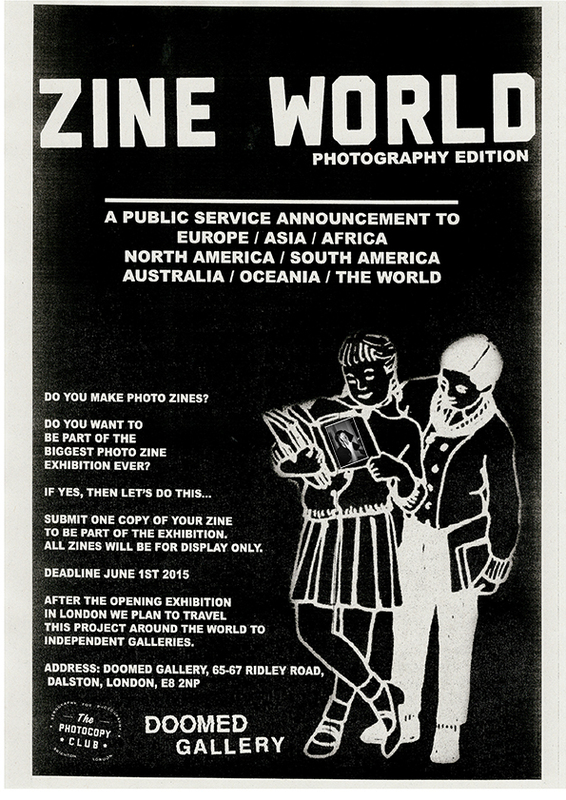 This call out for submissions is for photographic zine makers, from every corner of the globe. The exhibition will take place in June 2015 at Doomed Gallery in London. Doomed and TPC will then work with other independent galleries around the world to keep this amazing exhibition of zine making on the right track to be seen by as many people as possible. Please spread the word and support the project in any way you can.